Community Development includes everything related to neighborhood life - from our built environment (housing, schools, health centers, recreation facilities, libraries, parks etc) to all the services (education, healthcare, transportation, sanitation, judicial, etc) we need access to. If we want great neighborhoods, then we we must be involved in making them so - this is community development through community involvement. The Let’s Rebuild Cromwell Community Coalition proposes the designation of the north shore Maritime Education & Recreation Cultural Corridor, also known as MERC all along the north shore border of Staten Island. MERC as a special corridor or district would provide a long term cohesive guide for shaping our waterfront community as it relates to numerous aspects of neighborhood life such as public access, sustainability, developing new economic development opportunities and assurances that our waterfront remains a centerpiece for the community that surrounds it. MERC as a valuable planning tool can help us to transition into an ever improving waterfront heritage building community. Anchored by public spaces like parks, piers and recreation centers as hubs, MERC provides connectedness and assurances of public open spaces, recreational and educational facilities and opportunities on our waterfront for everyone. Rebuilding of Cromwell Recreation Center at Lyons Pool to include a full service state of the art beautiful public facility with numerous programs for everyone and views of the harbor. Creation of the North Fields- an open waterfront green fields for—ballfields, for soccer, baseball, football and hockey located on the water’s edge to also serve as storm mitigation systems. MERC would provide community residents an opportunity to experience a maritime/waterfront lifestyle and eco-friendly culture that would attract mariners, boat owners, environmentally conscious citizens, educators and others who historically love and care for the waterfront. The physicality of MERC can connect various MERC spaces through common signage, walking and bike paths and/or the use of common memberships and shared space and support new greenways along the waterfront, new vehicle, pedestrian and bike crossings. MERC can encourage economic development opportunities like a new maritime education and maritime recreation industries to include an aquatic center with state of the art indoor and outdoor pools. Our waterfront could become the premier location for Maritime Education and Recreation Industry training from learning how to build boats to operating large vessels to small sailboats. We can enhance activities already offered in the area such as Kayaking, Lyons Pool, 50/50 Skate Park, Makerspace, Lighthouse Museum, Museum of Maritime Navigation & Communication, and the Noble Maritime Museum making the waterfront an enclave of family friendly MERC activity. MERC can provide for an improved Tompkinsville park and promenade to include a maritime discovery center or kiosks for horticulture and art programs. There are so many possibilities for a marina-learning dock, and/or, retrofitted learning vessel to offer the community and school groups hands on opportunities to learn about the waterfront and to conduct activities like water safety classes, fishing instruction, community workshops or building small recreational boats for example. MERC could provide an easier path for existing organizations to obtain space or expand programs in the MERC area. 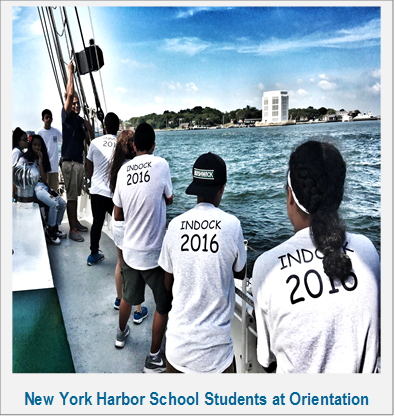 As the NY Harbor School prepares to open a feeder middle school or high school annex on the north shore so can others of related curricula. We could engage maritime educators such as the Maritime Colleges to consider developing an annex on Staten Island. Provide a pathway for green schools to open on the north shore corridor as its STEM focused curriculum would be enriched by a waterfront environment. We could greatly expand the educational components of the Lighthouse Museum, the Billion Oyster Project, Maritime Museum of Navigation and Communication, Noble Maritime Museum, Staten Island Museum, and others like SI Kayak or Makerspace. MERC can provide a road to long term possibilities for funding or financing the as a corridor or district development incentives. The north shore could become the NYC model town where maritime and environmental ecologists/scientists from all over the world visit to see how we cleaned up our waterfront and turned into an eco-friendly village bustling with new maritime related economic development opportunities. I feel very fortunate to have had the opportunity to learn about the Cromwell Center and what it meant to Staten Island. Clearly it was an amazing hub of community activity and a destination not only for the North Shore, but for the whole of Staten Island. Even more, I am thrilled to be a part of the MERC (Maritime Education & Recreation Corridor) conversation. MERC is a stunning opportunity to re-imagine our relationship with and access to a vital piece of waterfront. And as the name indicates, maritime education is an essential element of a community’s connection to its waterfront. Maritime education is an umbrella term that includes a vast array of pursuits and people. Despite the numerous possibilities that fall under the term, I believe the most effective maritime education is hands-on, interdisciplinary, skills based and project based. Whether it is data collection for marine science research, engine repair for a vessel, learning how to paddle a kayak, or building underwater ROVs, maritime education gets people connected to and caring about our harbor. Maritime education has something to offer people of all ages; however, I am especially excited about maritime education for our young people, our students. New York Harbor is the richest, most essential resource our city has to offer and our students deserve to have access to it, be educated about it and have job opportunities on it. Maritime education introduces students to meaningful work that gives them the skills and attitudes they need to be prepared for their own future; while also bringing great benefit to the city and its waterways. While maritime education does not necessarily have to lead to maritime employment, it is that at least 300,000 people in the Port of New York and New Jersey directly receive their employment from the port (compared to 160,000 people who work on Wall Street). Unfortunately, most of these 300,000 jobs are not held by New Yorkers. Our young people deserve to have education about and access to these local jobs, especially because many of these job pay well, are stable and have room for growth. Now truth be told, maritime education is an expensive endeavor: boats, docks, tools, science equipment, are all costly items. Although funding can present a challenge, it also presents an incredible opportunity to partner with organizations and industry from every corner of the harbor. These partnerships strengthen the educational experience, exposing students to maritime professionals and allowing students to see firsthand the scores of jobs and opportunities that await them here in their own city. Having spent the last fourteen years working with middle and high school students through my work with New York Harbor School and Billion Oyster Project, I am extremely excited about the prospect of opening a Harbor Middle School on Staten Island. The north shore is already home to a fantastic maritime elementary school, P.S. 59 Harbor View. The development of MERC along the North Shore seems to be an indication that Staten Island is ready to embrace maritime education in an even fuller way. Together we can create a network of Harbor Schools that promotes maritime education and prepares our students for a bright and prosperous future. “We like to call the waterfront ‘New York’s sixth borough’ these days, but really it’s the first borough,” observed Joshua Laird, the commissioner of National Parks of New York Harbor, “It predates the city and allows it to thrive”. New York City became the center of trade for the United States with the opening of the Erie Canal in 1825. It brought livestock and agricultural goods out of the region around the Great Lakes, today known as the Midwest, into the population centers along the Eastern Seaboard and then to trade with the remaining colonial powers in the Caribbean, the Western Hemisphere, and Europe. Every day, the work taking place in our ports and harbors impacts our daily lives. Our ports serve as an entry point for everything from the gas that runs our cars to the food on our table to the computers on our desks. Although we benefit from our ports tremendously through imports and exports, we fail to take advantage of the maritime careers available. A miniscule twelve percent of New York City Harbor employees are actually natives of our five boroughs, we outsource some of our best paying jobs due to lack of education. On our own North Shore of Staten Island, the maritime world holds a myriad of employment opportunities and it is time for us to lead our youths to take back our waterfront. It is imperative that we reclaim our harbors and keep the passion for our waterfront alive and well.